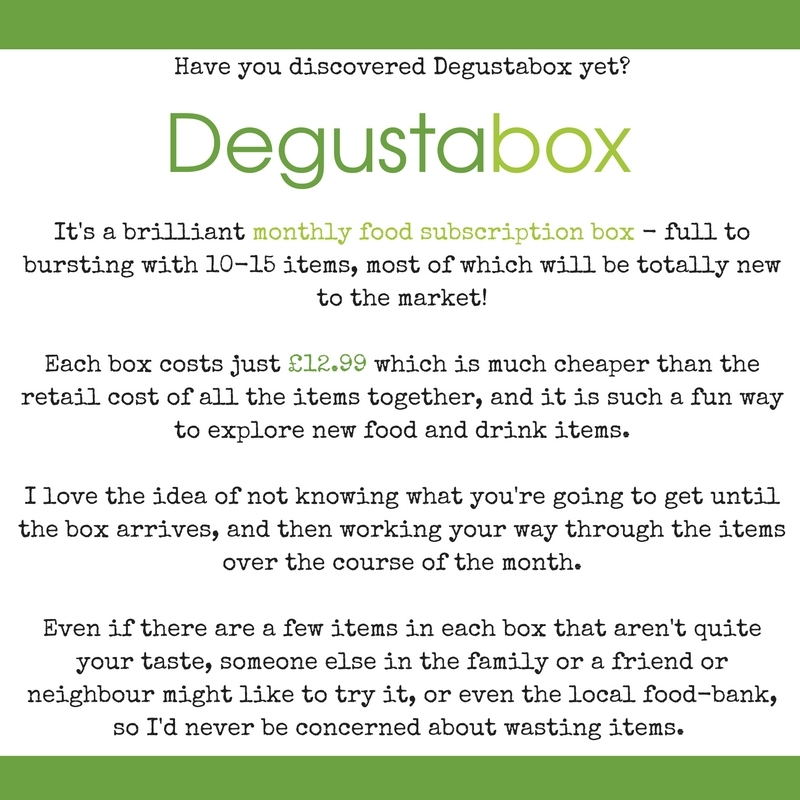 It's that time again - spilling out the contents of my January Degustabox which arrived last week. Quinola Mothergrain - Ready cooked organic and fairtrade pearl quinoa with split peas. Aspire Drinks - 2 x healthy energy, calorie free, sugar free beverage. Containing green tea. Finn Crisp - thin crisp breads with crunchy seeds and sea salt. Natvia - the 100% natural sweetener that's sweet like sugar without the calories. Protein Boost - Strawberry flavoured milkshake containing 20g protein. Fruitella 30% Less Sugar - fruit chew sweets. Yushoi - Coconut & Chilli Yushoi Snapea rice sticks are a delicious alternative to potato crisps. Popchips Ridges - Smoky bacon flavoured ridged crisps. Littles Coconut Coffee - liven up your cup with natural island coconut infused instant coffee. Pip's Real Hot Choc Co - Hot Chocolate coin for making a deliciously indulgent hot chocolate. 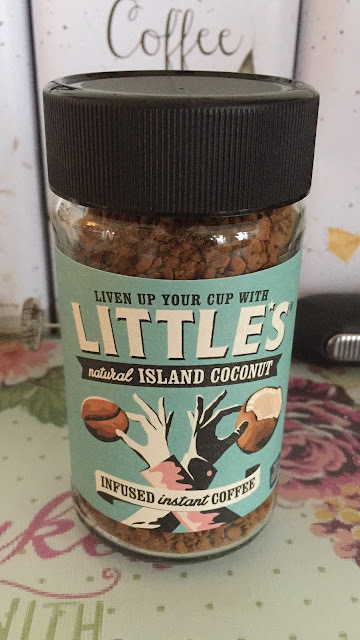 My absolute favourite item in this months box was the Little's Coconut infused coffee, it is blooming delicious - so nice that I will definitely be buying it again when I see it in the supermarket. It tastes so indulgent and has so much flavour. 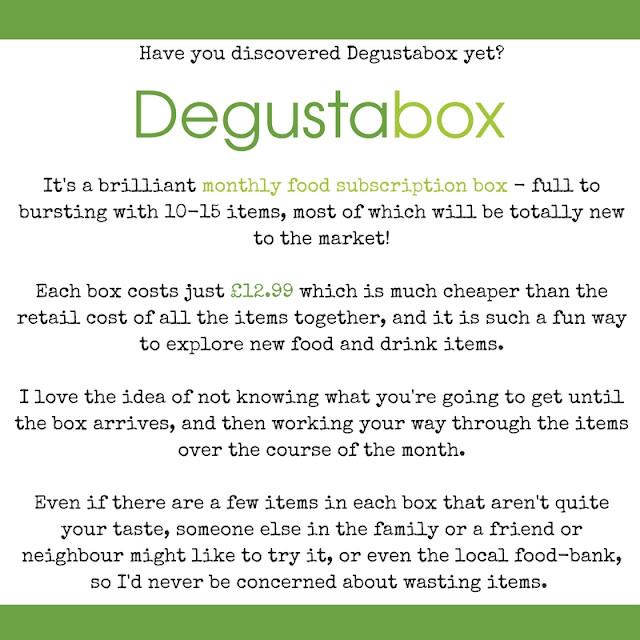 I love being introduced to brands I've never heard of through my Degustabox subscription. 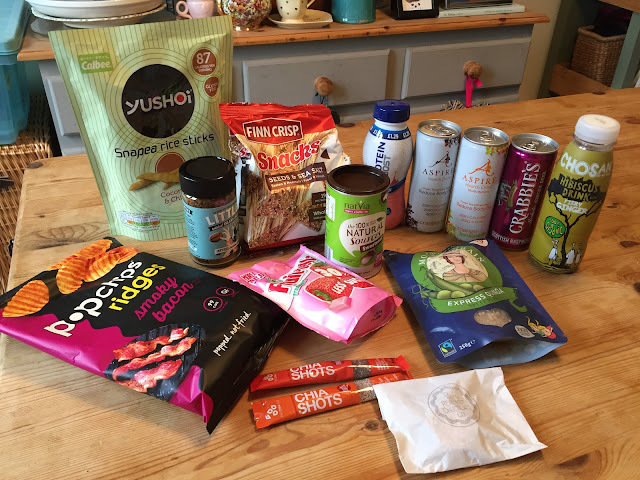 We all loved the Popchip Ridges Smoky Bacon, the popped not fried' potato snacks are so moreish, and at less than 100 calories per portion they're a winner in our book. We aren't big sweet eaters here in the Bishop household, but my twin sister Jo is a sweetie-fiend so she gladly accepted a gift in the shape of a bag of Fruitellas, waste not want not and all that. The protein shake came in handy as a post-workout refuel for me: I'm hitting the gym twice weekly at the moment and am so far only dipping my toes into the world of protein shakes and supplements. 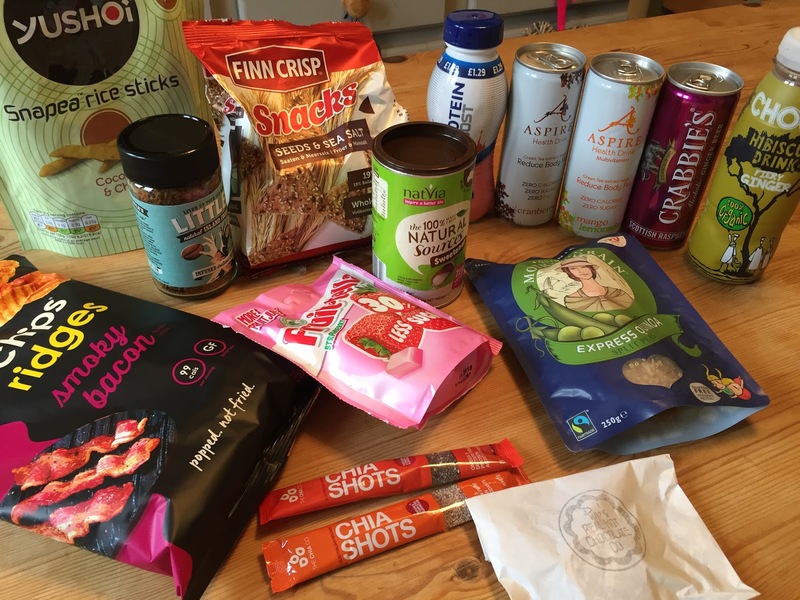 The Finn Crisp crisp breads were really brilliant - shaped like tortilla chips, they are a perfect healthier alternative to chips and dip. We dipped ours into reduced fat hummus for a balanced snack. Yum! I'm excited to try the Pip's Real Hot Chocolate coin - I've popped it in a safe place (away from husband and children) and will relish it as a treat on a cold February night. Another cracking box! I wonder what will be in next month's box? Exciting!